How to control the cost of ready mixed concrete production enterprises? How to control the cost of ready mixed concrete production enterprises. The cost of commercial concrete is the focus of concrete production enterprises, and the fundamental guarantee for enterprises to achieve profits. The cost of concrete directly affects the profits of enterprises and the competitiveness of enterprises. 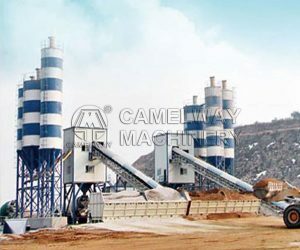 Camelway of our company indicates that the cost of commodity concrete includes many factors, such as raw material cost, production management cost, accident handling cost, human resource cost and production cost. These factors are interrelated and constitute a unified whole. It is unreasonable to ignore the cost control methods of one of the factors or several factors. Raw materials are the basic materials for concrete production. The quality of raw materials will directly affect the quality of concrete. The price of raw materials will also affect the cost of concrete. Generally, the price of raw materials with good quality is higher and the raw material of poor quality is lower. The price of raw materials has become a major factor in the control of procurement department of concrete production enterprises, but not necessarily low price raw materials, which can reduce production costs. On the contrary, the acquisition of unqualified raw materials at a low price will affect the quality of production concrete, which will not only cause great economic losses to enterprises, but also affect the credibility of enterprises. Therefore, the selection of raw materials should be prudent, and the quality and low price are the most reliable. The cost control of concrete production is from production, transportation, pouring, vibration and so on. Many people participate in the process. Only when all departments cooperate with each other and cooperate with each other to improve the comprehensive management level, can we effectively reduce the cost of concrete, which is difficult to rely on only one or a few departments. The cost of the accident treatment is the hidden cost of the commercial concrete enterprise, which is not easy to find, but it is the cost that can not be ignored. The cost of accident treatment includes engineering quality accident treatment and personnel injury accident treatment. In the process of concrete pouring, the construction enterprises should have construction reminder for the concrete enterprises in controlling the raw materials, rationally designing the mix proportion, and strictly according to the production of mix proportion. For the construction units to violate the illegal operation, we should do a good job of obtaining evidence, and strictly follow the program site sampling. Commodity concrete enterprises often encounter traffic accidents and industrial accidents in the production process. These accidents can be solved in a timely manner by strengthening staff safety education, finding problems, and handling accidents in the bud stage, so as to reduce accidents. The fixed cost of the concrete enterprise includes personnel salary, office communication fee, equipment depreciation charge, fixed asset depreciation fee and vehicle insurance fee and so on. Floating cost concrete includes: spontaneous combustion accidents and disasters, social costs, additional invalid controllable operation mechanism of the mechanical maintenance fees, interest, loaning money arrears, bad debt expense expenditure on production safety. The cost of these concrete should be compared and analyzed each month and quarterly, reducing unnecessary expenses and doing a good job of the company budget. This entry was posted in Solution and tagged Camelway Machinery, concrete mixing station, ready mixed concrete mixer by camelway. Bookmark the permalink.